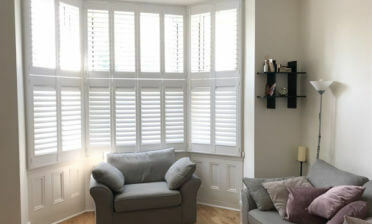 We visited a local home in Bromley, Kent to install some shutters for a customer named Astrid. She asked us to create shutters for a kitchen/dining area and also a games room. The windows were both different, one being a bay window and the other of standard sizing and the shutters were to be created in a different material and finished in different colours. 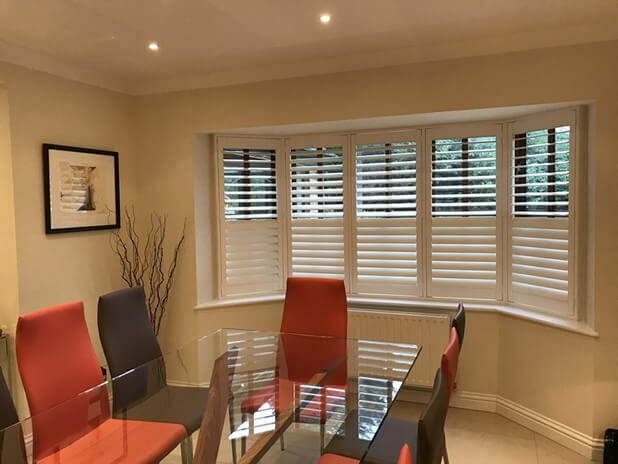 The shutters for the dining area were created in Antigua MDF and feature a hidden tilt rod system, finished in silk white with matching hinges. 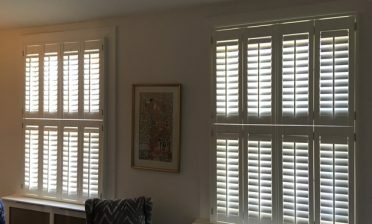 As you can see the full height shutters also feature a hidden split in the middle of the shutters to allow for separate adjustment of the top and bottoms of the panels without the need for a visible wooden mid rail. These shutters were made up of 5 panels and perfectly crafted to fit the contours of the bay! 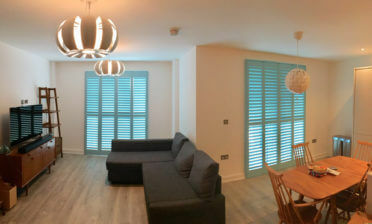 The games room also features full height shutters but of a very different look to the others. We used 8 narrow panels with centralised tilt rods and as with the other shutters an invisible split in the middle. These were finished in a trendy classic black paint with black hinges, more of a stand out look for the games room! 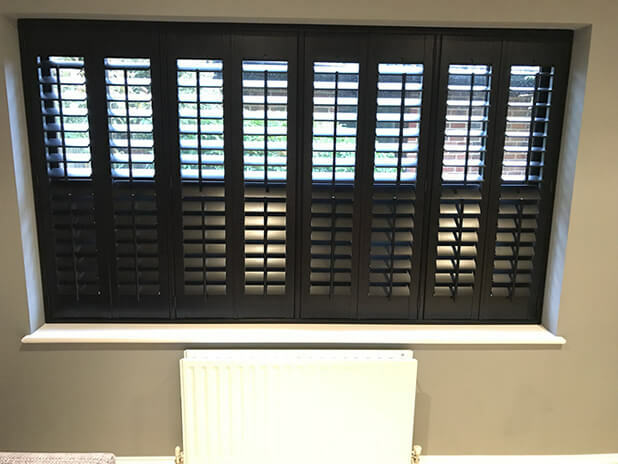 Astrid was over the moon with her new shutters, with this installation demonstrating the flexibility of our custom styling, paint finishes and made to measure installation for any type of windows in your home. The work was carried out by one of our expert installers, Ben!